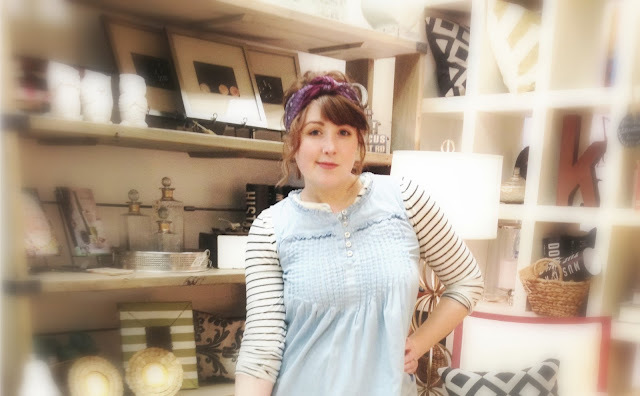 Today, Elvira Bleu is featuring Bailey, a mid-20's, fashion savvy, Alabama-gone-Tennessee native. 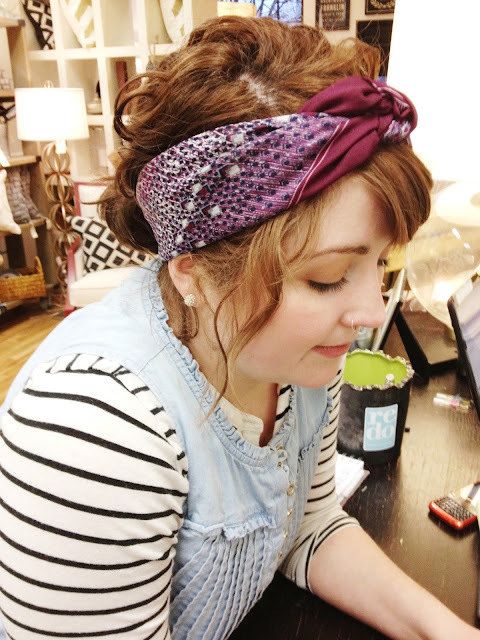 I work with Bailey on the weekends at Redo Home and Design in downtown Franklin, Tennessee. 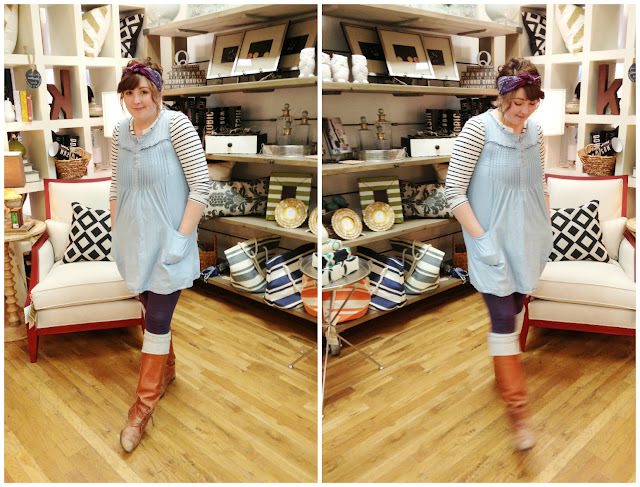 As you can see, she is the epitome of adorable, and has layering down to an art. I highly doubt she has ever worn the exact same outfit more than once. What you CAN'T see (but can maybe assume) that she is one of the sweetest people I know. 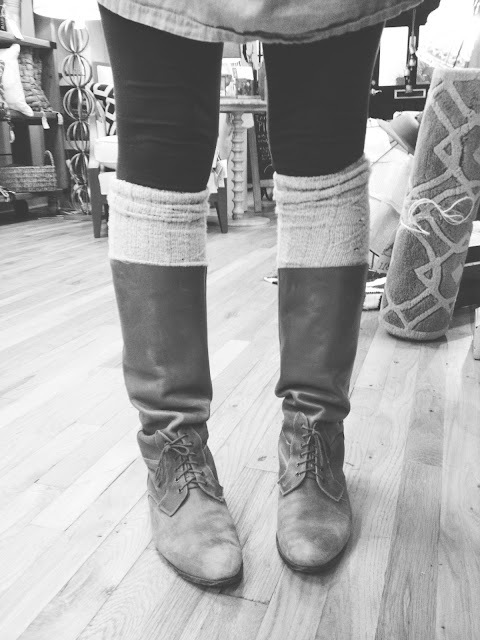 can you believe she found these boots thrifting!? top it all off with a purple headscarf, and you have expert-level layering! Stop by Redo sometime to see Bailey's cute style, the cute designers, AND the cute store! Cuteness for days, I promise.